Member ownership of the program and long-term stability. Stable and competitive insurance costs. Professional staff and service providers. Emphasis on loss prevention at the building level. The board structure gives each district a voice in the operation of the Trust. Each district has a vote on key issues. 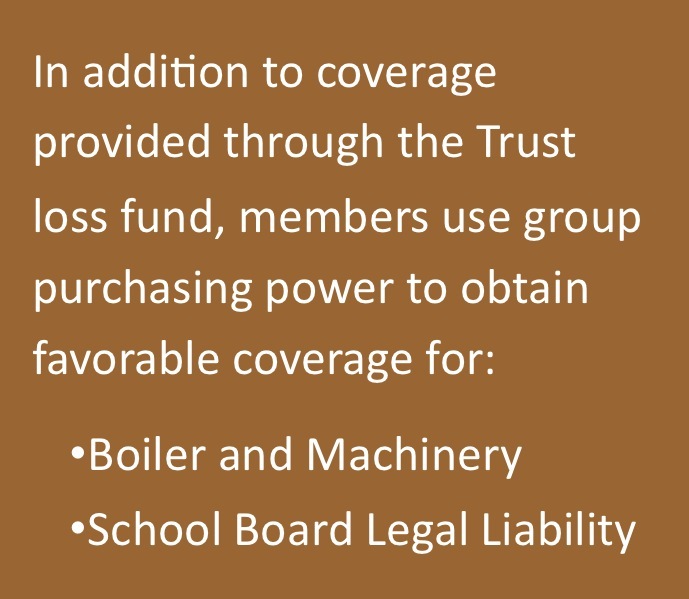 Through participation on the Trust’s three loss control committees, representatives of member districts are able to develop strategies to reduce exposures to loss and deal with emerging issues. As a result, the Trust remains sensitive to the needs of its members and provides a high level of service. Copyright 2013 Metropolitan Association for Improved School Legislation. All rights reserved.